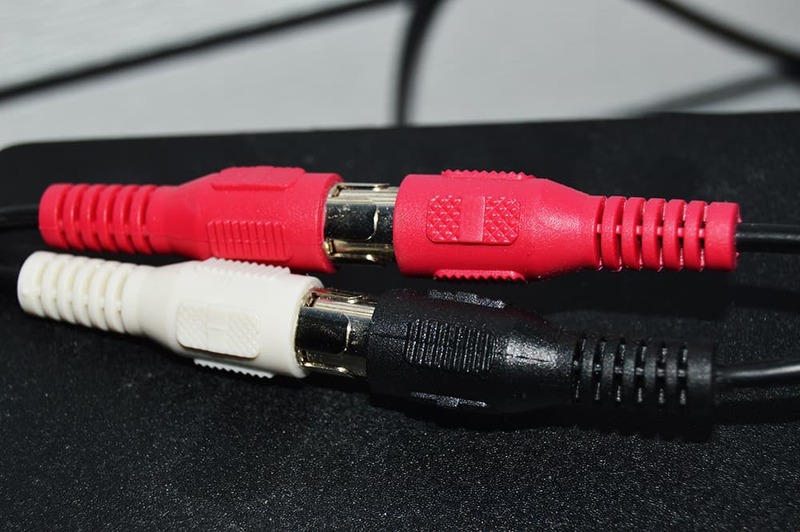 Audio Technica AT LP60 review | ROCK SOLID! Today I will be doing a very special review of the audio technica at lp60! 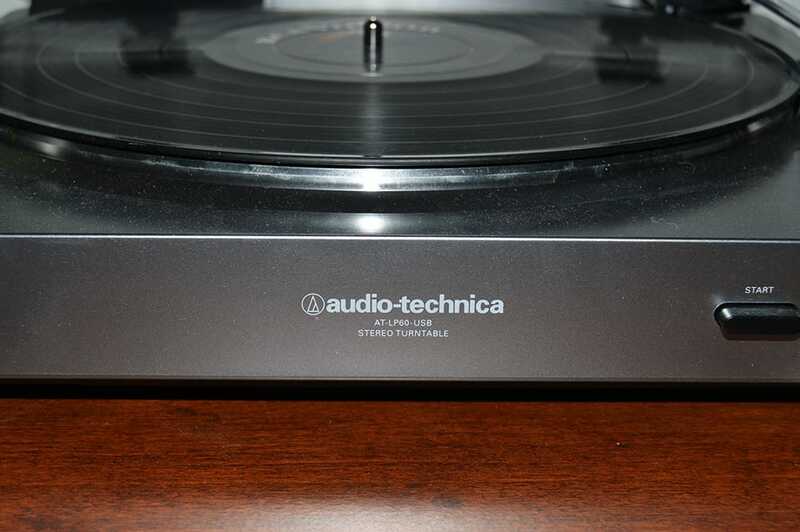 It’s a great little entry level turntable with some awesome features. It won’t break the bank, and is ideal for people new to vinyl and looking to get their feet wet. Before we get started, grab a snack sit back and relax because.. I am a sample based producer, so I needed an affordable and quality solution to my problem. I had a ton of records lying around, but nothing to play them with! My dad has had a Technics SL-1700 for over 30 years, and you can be darned sure he doesn’t want my cotton pickin’ hands all over it! When I was younger I would sneak in some listening in the afternoon while he was away at work. Eventually, I had to succumb to the pressure and buy my own. 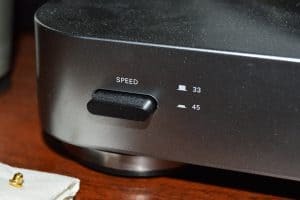 Reviewing an affordable, reliable USB turntable from the comfort of my home. It’s pretty easy to set up if you follow some basic instructions, and comes with RCA cables for easy hook up. Easiest way to hook it up, Homie! (that comes with the turntable). and away you go. It’s as simple as that. Just know that one of the female jacks may be a different color (black). Just match up the reds first. No fuss, no muss, no hassle. My dad has even recruited me to make him CD’s of all his old favorites. Now he wants one too!! Another great feature is the auto play. 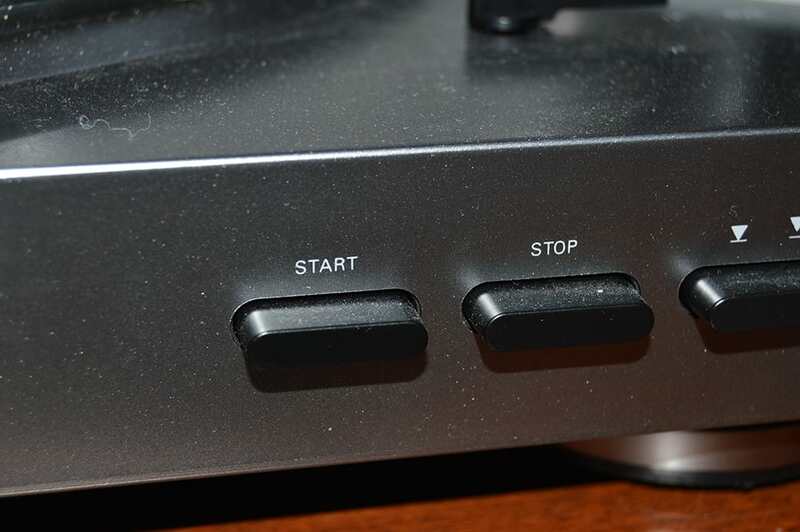 Just press the start button on the front and the needle starts up by itself. You don’t even have to touch it if you don’t want to. I’m kind of old school so I enjoy putting the stylus where I want. Another feature, which I don’t use often, is the speed. You can press a button and increase it to 45, or leave it at 33 RPM. 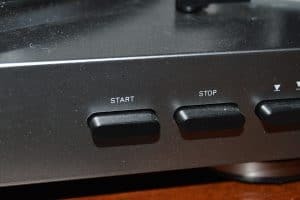 The button all the way to the right lifts the needle and in essence, pauses a track much like a pause button. The record still spins and you can press the button again to resume play. This turntable is really as simple as it gets. I don’t know much about the logistics of turntables themselves, or what makes one better than another. I’m sure there are a group of snobs somewhere on the internet bashing this thing. But who cares, because everywhere you look it’s got pretty near flawless reviews. The sound quality to my ears is fantastic. I have had it for about a year and a half now with no problems. There are days when I have played this non-stop for hours. It’s quite a workhorse machine. The dust cover comes in handy as well. If you forget to put it down after use, you will find yourself cleaning the needle. Please make sure to use a stylus cleaner that is meant for the job. Use anything else, and you may end up damaging it. What more is there to say. This is one of the best options you can go with for an entry level unit. CHECK THE PRICE ON ZZOUNDS!! Well that’s about it for today my friend! Hope you enjoyed my Audio Technica at lp 60 review!! Questions? Comments? Requests? Did I miss the mark on something? Please Contact me! What do you think about this turntable? Is it a good deal?? I would love to hear from you. Until next time..
Great to see a honest down to earth review and reminded me of the old 78’s, is there one like it that can play and record them too? Yes! In fact, the Audio Technica AT LP120 can do just that. You have inspired me to write a review of this product as well. I put a couple links on my sidebar.. I may even pick one up in the future. It looks delicious. Thanks for the comment Sheila! If the needle gets damaged, can it be replace easily. Yes it sure can! 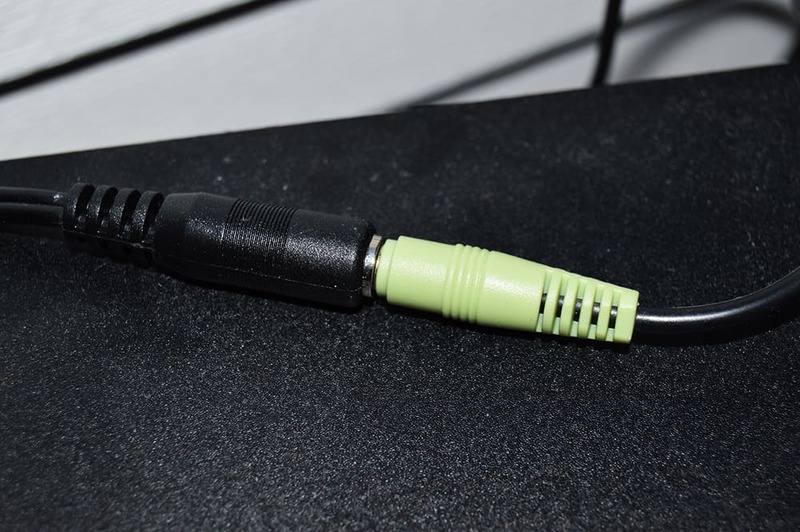 The ATN-3600 or ATN-3600L are both replacement stylus options for this model! They can be found on zZounds and amazon! Thank you for the question! one of these days I really do want to pick up a turn table. I always hear about how much better the sound is. For the price like you said this would be a perfect start to getting into vinyl records. I am sure it would turn into an addiction for me. It’s a really fun hobby. You can buy vinyls for as little as a quarter! It is quite addicting. I’m always at the thrift store buying in bulk. I usually buy 40 records at a time! Aww, that’s adorable lol. I love the simplicity of it and I’m sure you do as well! I’ve had mine since Dec. 2014 and it hasn’t failed me after very frequent use! What a great find! I’m so glad you’re enjoying yours as well. It’s funny because I feel that exact same way when I look at it, even to this day. Lol. I just smile at it. It’s just a beautiful piece of equipment and goes very well in my studio. You will especially love it for rainy days and coffee! 🙂 That said.. If you ever need a hand with any gear recommendations, don’t hesitate to contact me! . I look forward to hearing from you again.. Drop back by anytime! !